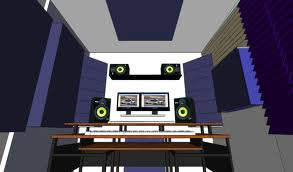 A good recording studio should be treated for sound to get the best possible recording. There are many bad things people do that they think will help treat their studio for sound but doing these things could make it worse. For instance using egg cartons will not work properly. Buying cheap foam and slapping it on a wall will not work. You need good foam that is specifically made for room acoustic treatment. I found a video on acoustically treating a studio for sound and it is very helpful.